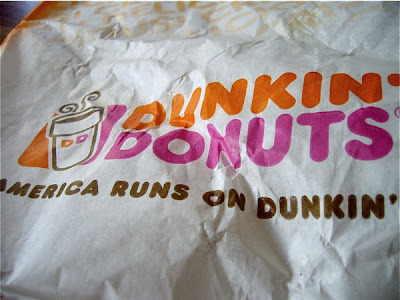 American runs on dunkin' is the slogan of the Dunkin' Donuts company. You will find this brand all over the US and in countries all over the world. They have not established themselves in Scandinavia - yet! 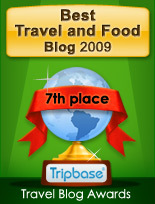 I am, to be quite frank, not very eager to get theme here either, as they do not offer food that I like, rather the opposite! My Dunkin' is located in my summer paradise - New England. I have ordered coffee and an occational bite from one of their restaurants in Scituate MA and in Seabrook NH. I like their coffee, but I have grave reservations to their concept of food. Dunkin' Donuts has its roots in New England. William Rosenberg started to serve customers lunch snacks in Providence RI in 1946, and opened their first Dunkin' Donuts in Quincy, outside Boston in 1950. The Dunkins' brand was bought up by Allied Lyons in 1989, and is currently jointly owned by The Carlyle Group, Bain Capital, and Thomas H. Lee Partners. The mother of all Dunkin' Donuts at 543 Southern Artery in still in business. From this humble start the mother of all Dunkins' has hatched out close to 8000 restaurants in 30 countries all over the world, and it is still expanding. 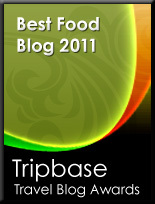 The company will try to double their number of restaurants in the US within 2015. I have to say that I have no sweet tooth, in general, so their main product, doughnuts with several different frostings, do not appeal to me. I build my latest experiences on their different breakfast sandwiches, with or without bacon, eggs, cheese, sausage or ham. 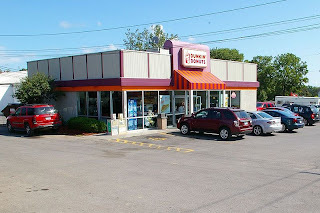 My latest Dunkin' Donuts experience was in their shop in 12 Ocean Blvd, Seabrook, NH. I ordered a breakfast sandwich with eggs, cheese and sausage and a medium coffee with milk. I cannot use another word of what I was served than boring. Eggs and sausage with no taste to talk of, and with a consistency of rubber. I do not care for the quality of the bread either. I have no idea why it should end up like this. ‎When having cheese, eggs, and sausage, it is, with some skill, quite easy to get a decent result. The answer must be that brands like Dunkin' Donuts produce food in such quantity, and combined with factors like preparation time (fast food) and low price they end up serving food equally bad over the whole world. If you have to resort to a Dunkin' product there are some I would recommend to others. 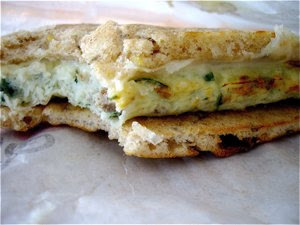 Stay away from their different breakfast sandwiches or try them once, to prove me wrong. The decent thing to buy for breakfast is their bagels. 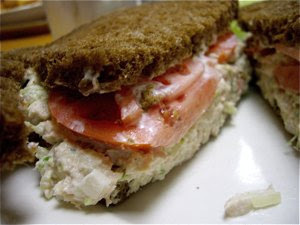 The staff will toast them for you, and you may choose regular cream cheese or seasoned, e.g. with chives in a small cup to follow. 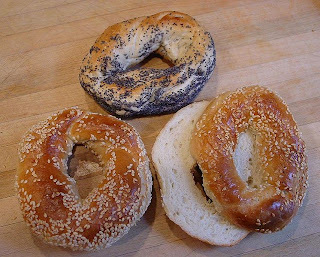 Take out you plastic knife and spread the cheese over the bagel, when still warm - then even Dunkin' Donuts will have a good place in your summer memories. 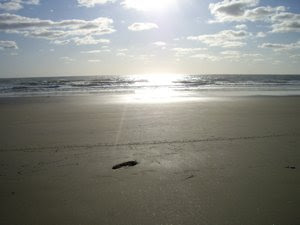 I took mine and sat down one early morning on a bench over the sand dunes and watched the sun rise over the Atlantic. In most cases, though, my experience with Dunkin' Donuts, McDonalds, Burger King, and TGI Friday's in the US and overseas, cannot be compared with what you get at local diners as the A1 Deli in Haverhill. You get proper good home made food for breakfast, lunch, and dinner on the spot at a reasonably low price. So the next time you are considering a Dunkin' Donuts experience, try to look for a local diner instead of wasting your money!